Some people think football is a matter of life and death. I don’t like that attitude. I can assure them it is much more serious than that. Bill Shankly, one of Liverpool’s great managers. I don’t agree. Football, from which I have derived a great deal of pleasure both as a player and supporter is a sport. It is not, contrary to some people’s misguided beliefs, a religion, and should not be taken too seriously. That said my devotion and loyalty to Middlesbrough, as well as confirming the notion of purgatory!, saw me following them through the semi-final play offs in the Championship and all the way to the final at Wembley. Joshua and I secured two tickets to ensure our first trip to the magnificent stadium. 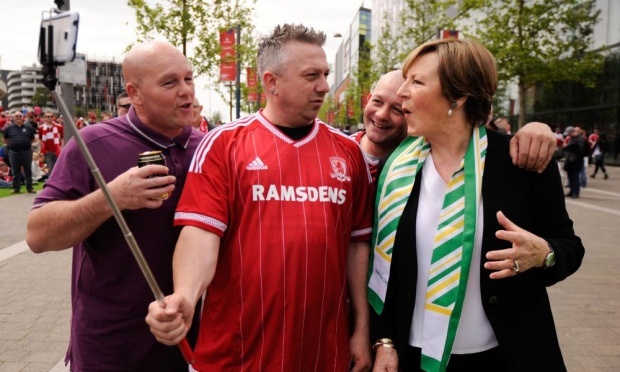 Alas, the class and experience of Norwich City won the day over the youthful inexperience of Boro. With just 15 minutes on the clock, Boro were two goals down and the match was effectively over. 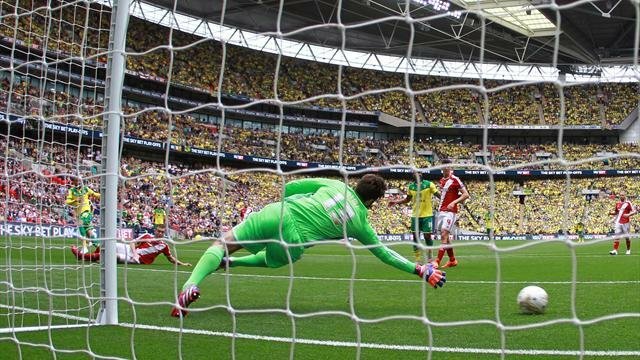 After a season which has seen them play some marvelously entertaining and skillful football they could not raise themselves or recover from those opening opposition salvos and Norwich went onto a comfortable and well deserved win which will take them back up into the Premeirship. 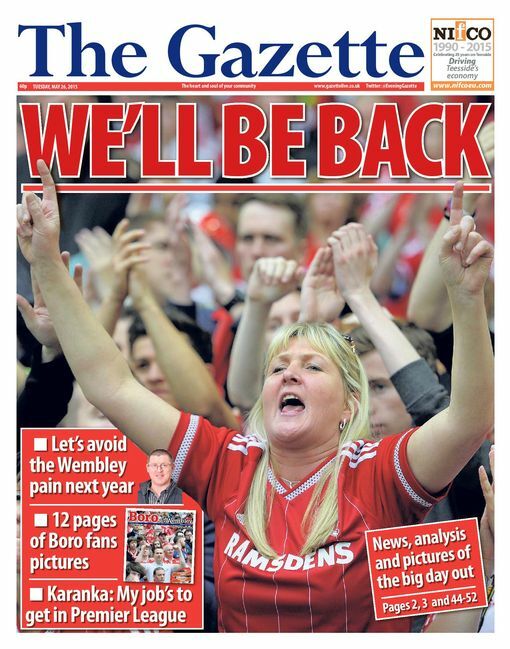 We were very disappointed, not so much by the result but by the way in which Boro played, or rather didn’t play. Such a shame but we will bounce back and with the squad we have and the excellent coach, things auger well for another attempt next season. What made the day more pleasant and enjoyable was the Teessider’s ‘down to earth’ humour that accompanied the experience of defeat. 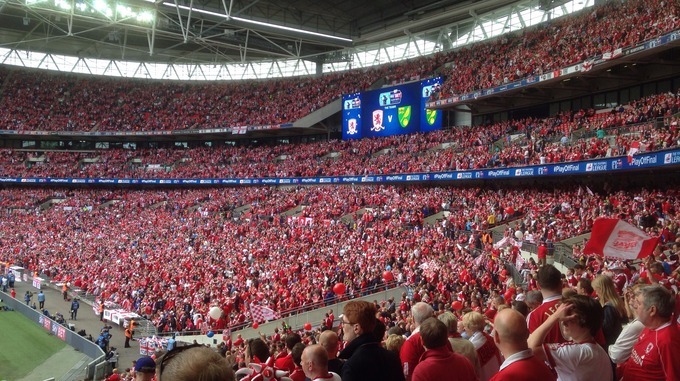 Also, unlike some other teams supporters who have left early when their team were losing, (Southend, Arsenal, Manchester City and United fans and several thousands of Villa fans today ~ shame on you…) Boro fans stayed and sang to the final whistle and beyond. It was also incredibly heart warming to witness and experience the good natured banter and camaraderie between the two opposing sets of supporters. 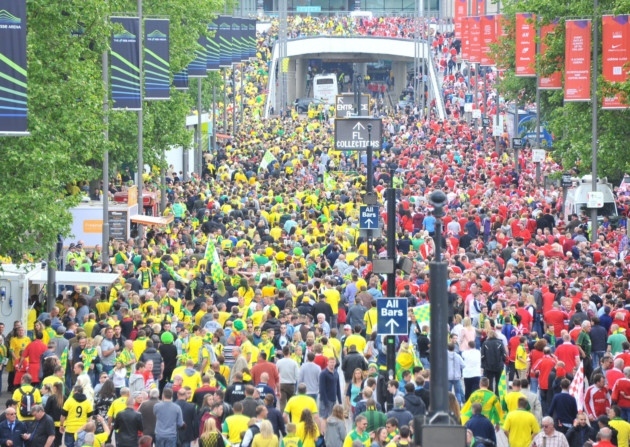 Both before and after the game, Boro and Norwich fans mingled in bars, on public transport, walking to and from the stadium with not a hint of bother. We spoke to a group of Norwich fans on the Tube on the way in, good humour and respect permeated our chat. 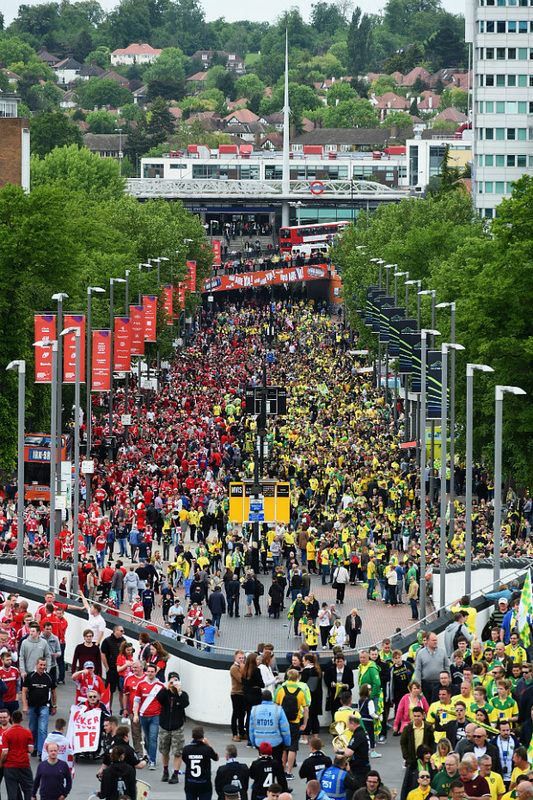 Driving home, crawling at first through the traffic queues around Watford, it was Norwich fans who let me out of a side road. As we drew alongside each other by a set of lights later, they wound the window down and shouted across to me, “See you in 2016!” I said I couldn’t cope with another Wembley trip but they said ‘No, in the Premier league; you’re the best team we have seen all season. Keep believing!’ I laughed and said I’d try and keep believing, particularly as I was a Christian minister! Much laughter and banter ensued which could not be printed here but it lightened the mood that had accompanied Boro’s defeat. Well done Norwich! 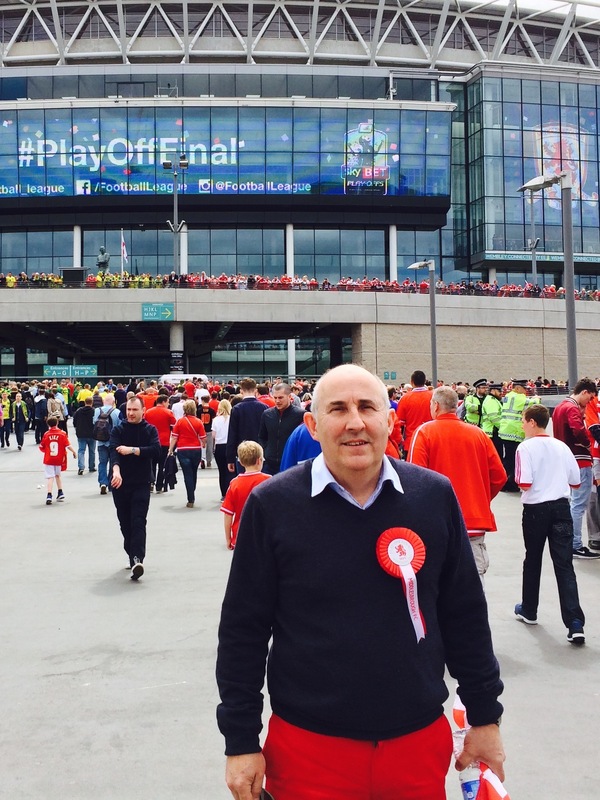 ; your team were better than us on the day and your supporters are a credit to you, just as I was proud of being a Boro supporter….. even though we lost.